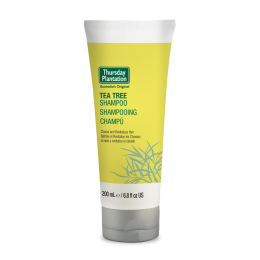 Thursday Plantation Tea Tree Shampoo gently cleanses the scalp and hair without stripping the natural oils and leaves hair feeling soft and manageable. Gently massage shampoo into hair and scalp. For best results, follow with Thursday Plantation Tea Tree Conditioner.